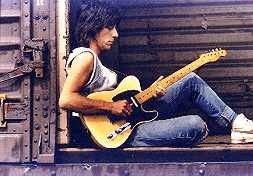 Whether or not you're familiar with the music of Jeff Beck, you've probably at least heard his name. After replacing Eric Clapton as a member of the 60s group The Yardibirds, he went on to become one of the most influential guitarists in rock music. His prowess with a pick caused bands no less than Pink Floyd and The Rolling Stones to request his membership. And yet, no one has ever heard Jeff Beck's finest performances, except Jeff Beck. He explains that when the recording light comes on, the pressure of doing a perfect take inevitably gets in the way of ultimate artistry. Playing in front of a live audience offers the same impediment, even for this very experienced player. The best performances of his life tend to happen while sitting on a couch and noodling on his guitar, to no one but himself. Without the pressure of perfection, an artist is free to try anything, and make as many mistakes as they want without consequence. That freedom will often translate into magic. Recently another songster said that to become a great songwriter, one should write a lot of bad songs. The premise behind that, of course, is not to create inferior music, but to be willing to make mistakes, and to use each one as a learning tool. Nobody likes to make mistakes, but if we adapt our belief system and recognize them as criticism-free teachers, the freedom of imperfection can be liberating. Whether we're sitting at a piano writing a concerto or at a computer keyboard writing a novel, the same principles apply. If we approach creativity with a strict set of rules, afraid to try new things and make mistakes, we are only strangling the muse. Harboring that mentality, we will never achieve our best work. Thanks to editing, a writer can make as many mistakes as it takes and go back and fix them. Therefore, don't feel like the first draft has to be perfect. If that was the case, there'd be no such thing as a second draft or a final draft. Celebrate imperfection and let the magic come forth unimpaired. 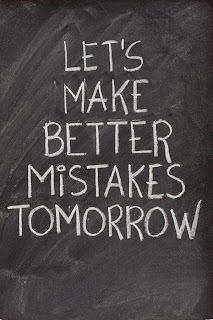 Don't make the mistake of not making mistakes. The more we make, the less likely we'll make them again. 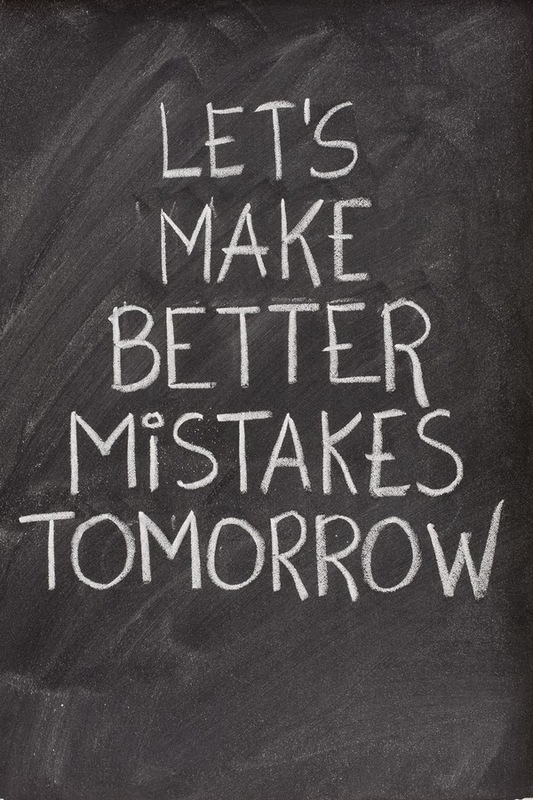 As it has been said, making a mistake once is an accident. Making it twice is a choice.